This book review originally appeared in Baltimore, Washington and Philadelphia SmartCEO Magazine February 2012 issue. Anyone whose followed my columns, blog or speeches, knows what a fan I am of Apple and it's late-CEO Steve Jobs. So, it was with great interest that I downloaded Walter Isaacson's biography of him. 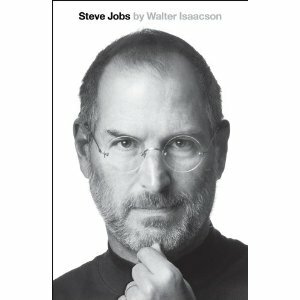 Isaacson, author of several great biographies, is a fabulous writer and does a great job of providing an enticing narration of Jobs' life in an historical context. Reading the book left me with three key insights that I hope to take into my business on a regular basis. The myth about Steve Jobs is that the underlying causes of his success are his imagination and creativity. While Jobs certainly is strong in both areas, it was the ability to maniacally focus on execution that led to Apple becoming the most valuable company in the world. Jobs, more than anything, was a managing editor. He could certainly conceive of technology that didn't exist before; he wasn't rare there. His ability to see what didn't belong and to force his highly creative designers and engineers to stay focused on fewer projects and to bring out the essence of each product are what made Apple foundationally different.A great example is the myth that Jobs merely ripped off Xerox's graphical interface in creating the Mac. While Jobs' discovery at Xerox PARC did a lot to inspire the Mac, Isaacson does a great job chronicling how Apple's execution is what enabled success. When you look at companies like Starbucks (in their heyday), Apple and Facebook, you quickly realize that product is a byproduct, not a focus in itself. As Howard Schultz shares in his autobiography Pour Your Heart Into It, Starbucks' aim was to make a great cup of coffee and provide a special experience to its customers. By staying focused on that, a great company (and tremendous wealth) was built. I truly enjoyed reading about the genesis of the iPod, the product most responsible for launching Apple into the stratosphere as a consumer products company. Isaacson documents the inside story how Apple brought the iPod to life, and how Microsoft reacted. When I consult with companies who desire to accelerate their growth by breaking through their growth barriers; I caution them that the fundamental challenge is making the appropriate changes to the business without killing the unique dysfunction that makes them what they are. Too often consultants come in, apply their "rules" and take away the uniqueness that made the business effective. Steve Jobs succeeded his way. He was control oriented, famous for berating employees (and friends), was aloof and moody. Apple, beloved by its customers, is not a particularly engaging firm. They don't tweet and don't really listen to the customers all that much.Simply put, if I made a list of the consensus rules for management and growing a company in an interconnected world - Apple and Steve Jobs would violate most of the rules. And it worked for them. The biggest insight I gained from reading Steve Jobs is that his way worked for him. It probably wouldn't work for anyone else. The key is to learn from what he did. Then make it work - our way. It's probably the great Jobs legacy - to succeed, we must leave our mark.